We have been a victim of a man that was posing as a local business man. We have ordered corporate clothing from him and usually we only pay a deposit. He however demanded payment in full and our accounts lady paid him in full. He then disappeared and only after we succeeded to find his Facebook page and send him a message, did he respond and promised to return our monies. We hope you can assist as negative media releases could pressurise him to return our money to us. Daimone Siulapwa seen here smiling. Maybe because he is a few Rands richer? We have been a victim of a man that was posing as a local business man. We have ordered corporate clothing from him and usually we only pay a deposit. He however demanded payment in full due to financial reasons and we paid him in full. He then disappeared and only after we succeeded to find his Facebook page and send him a message, did he respond and promised to return our monies. 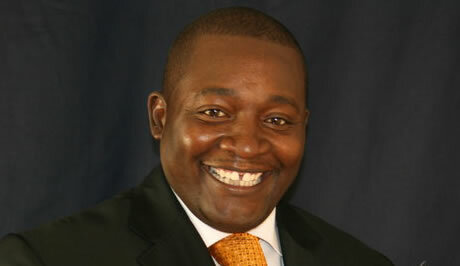 He has however again disappeared and we understand that he moved to Zambia and that he is in fact a Zambian national. Please can your office assist us in getting hold of this high profile Zambian citizen as to force him to return the monies that he stole from us.